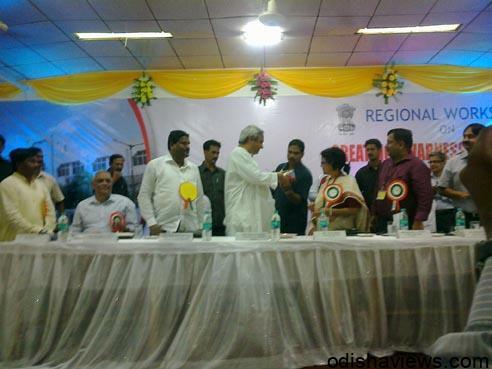 OLATPUR [Cuttack] – Aug 30. 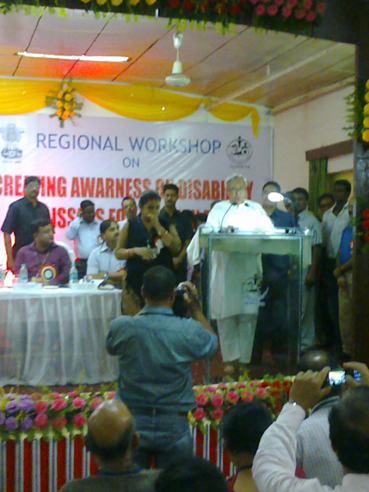 Persons with disabilities and differently abled are well cared by Odisha government through numerous schemes and implementing union government sponsored programmes and facilities , identification of physically challenged persons are under progress in state, in order to help this category people further , said state chief minister Naveen Patnaik while attending a regional workshop on ‘creating awareness on disability issues for eastern region’ held at Swami Vivekananda National Institute of Rehabilitation Training and Research [SVNIRTAR] at Olatapur 15 km away from Cuttack on Friday. Highlighting his government measures providing benefit to disabled section , chief minster informed, 3 percent of the state population substantiates number of disabled people living in Odisha , for the benefit of these people state government has included them under Rastriya Swasthy Bima Yojna, , assistance to disabled persons for purchasing fitting aids and assistive devices, study scholarship to the disabled students under a scheme ‘Banishree’ that covers class 10th to post graduation or technical education, grants for special schools running meant for disabled students, vocational training to the persons with disabilities [PWD] , reservation in government jobs, financial assistance and loan to disabled persons for setting up self employment ventures, and coinciding National disabled pension scheme Odisha government has included disabled people under Madhu Babu Pension Yojana from the year2008 and providing Rs 300 per month to each identified physical challenged. 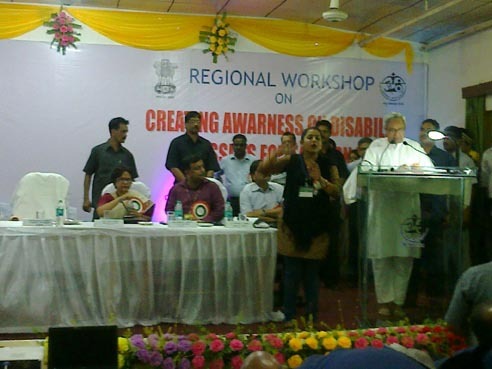 However chief minster praised the host organization department of disability affairs, union ministry of social justice and empowerment, and SVNIRTAR for sensitizing the disabled issues through this work shop and lauded the strict laws as Equal opportunities and protection of rights and participation Act 1995 and National Trust Act 1999 meant for the disabled people are appropriately implementing in Odisha , a separate directorate is functioning in state for caring PWDs, chief minster revealed. Addressing the work shop Mr P K Pincha chief commissioner of PWDs government of India claimed suitable amendment of existing Gram panchayat Act and rules enabling hearing impaired and blind deformity people taking part in the rural elections. Smt Struty Kacker secretary ministry of social justice revealed that Rehabilitation and restoration works for the PWDs is a state subject , it needs each state government’s endeavor and keen interest for implementation, money is not constraint providing benefit to the PWDs in country in 12 th plan Rs 6000 crore has been earmarked for implementing numerous benefits for disabled people, she informed. 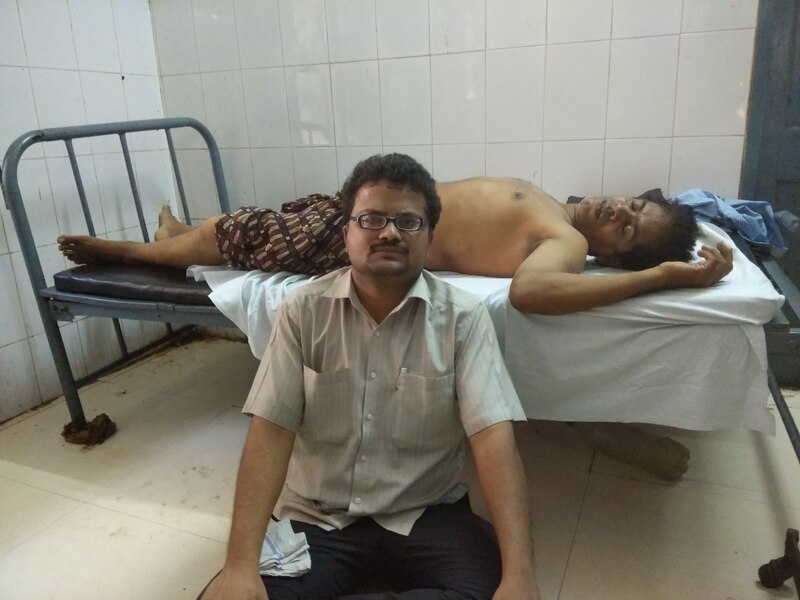 Local legislator P K Mallick claimed although SVNIRTAR is a union government subsidized institution in state for its development and smooth functioning state officials or representative are required to include its management, he demanded. MP Bibhu Prasad Tarai speaking on the occasion demanded upgrading SVNIRTAR hospital 100 beds to 200 beds, as the institution has recognized a prominent rehabilitation hospital in Asia continent but it suffers with numerous problems and he will personally take up the matter to union ministry of social justice, MP assured. SVNIRTAR director Dr A C Meher proposed the vote of thanks and distributed mementos to the visiting dignitaries, according to the organizer sources informed this regional work shop will continue for two days, discussion will be held on PWD issues and officials of ministry of social justice, personalities working for the PWDs, NGOs, Rehabilitation personnel, members for state directorate disabilities, students and faculty members are taking part.